Every year the ‘SRC Crew’ await and anticipate the upcoming whale watching season, each with our own predictions on what the season will hold and so far June has exceeded expectations. The total of six Southern Right Whales were spotted during our first trip of the season on 6th June 2018, with a steady sighting record since. We have seen a lot of activity in the bay over the past few weeks. A noteworthy tour on 13th June being our first trip where we encountered all three of the whale species common in the bay for this time of year. 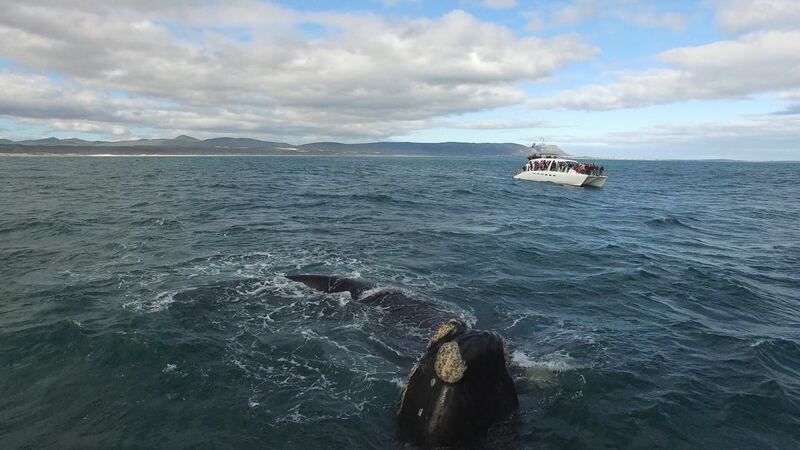 On these special occasions when the Bryde’s, Humpback and Southern Right whales are all seen during one tour, we aptly call this a hat-trick! During June we have been lucky to share this ‘hat-trick’ experience a couple of times, but one very special moment took place last week when we encountered a Humpback whale interacting with a Southern Right Whale, seemingly as if age old friends! Dolphins have also been in on the action, providing us with some stunning visual displays. 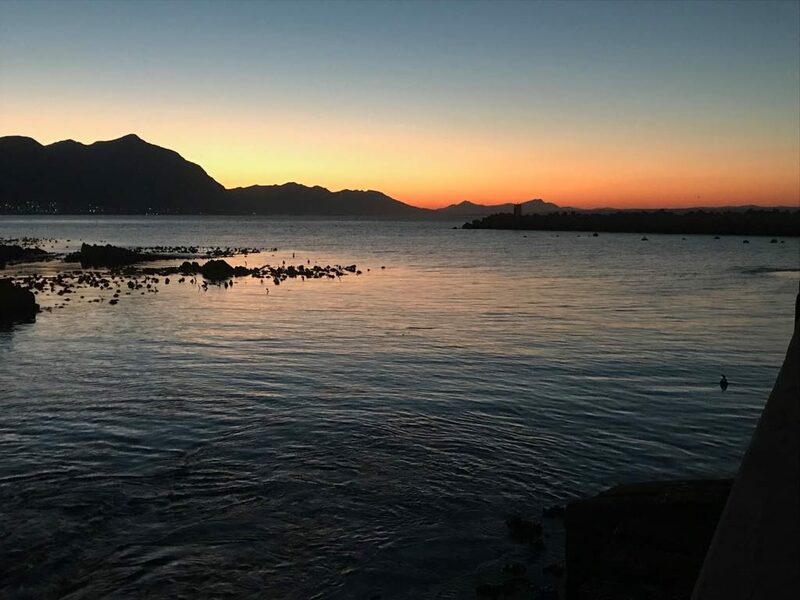 The Bottlenose dolphins seems to be finding Hermanus to be a comfortable home as we have spotted them on every trip this June. We can only hope this is to be the trend this whale watching season. We had an unusual sighting of 7 Southern Giant Petrels (birds) all feeding on a dead seal in the bay. 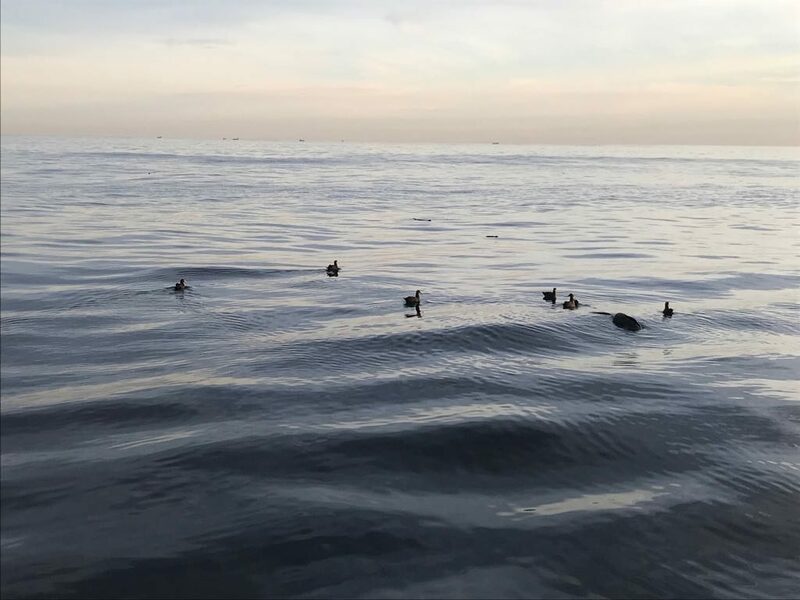 Although spotting the Giant Petrel in this neck of the woods is not uncommon for this time of year, it was unusual to see so many together in one place. This has been followed with several other ‘birding’ moments including sightings of Shy Albatross, White Chin Petrels, Sub Antarctic Skuas, Penguins & Cormorants & a very brief sighting of a Wilson’s Storm Petrel. 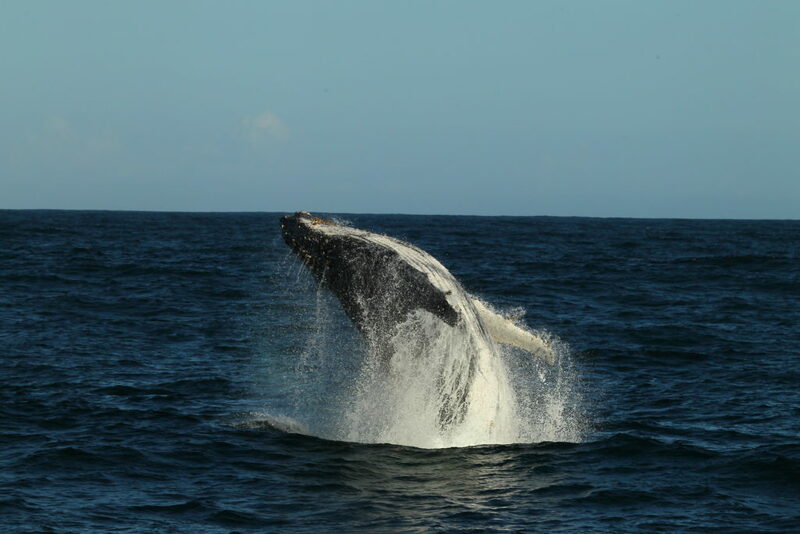 Breaching humpback whales, mating groups of Southern Right Whales and coming face to face with the Mola-Mola sunfish. 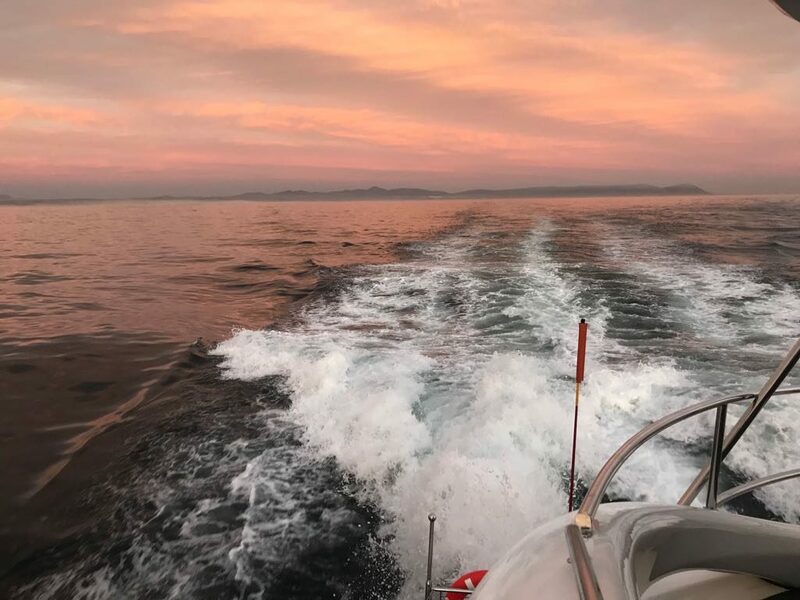 Topped off with stunning seascapes, starting with some amazing sunrises and ending with the famous South African sunset on our return from our afternoon whale watching trips. In review, June has displayed a record number of whales and dolphins for so early in the whale watching season and with only a glimpse of what July has to offer, the 4th of July celebrated our first sighting of a southern right calf for the 2018 whale watching season. This specific trip had a once in a blue moon moment, of watching whales with the backdrop of the Klein River mountains being snow-capped! – doesn’t get much ‘cooler’ than that! Stay tuned to our social media channels for more updates and sightings from Southern Right Charters.